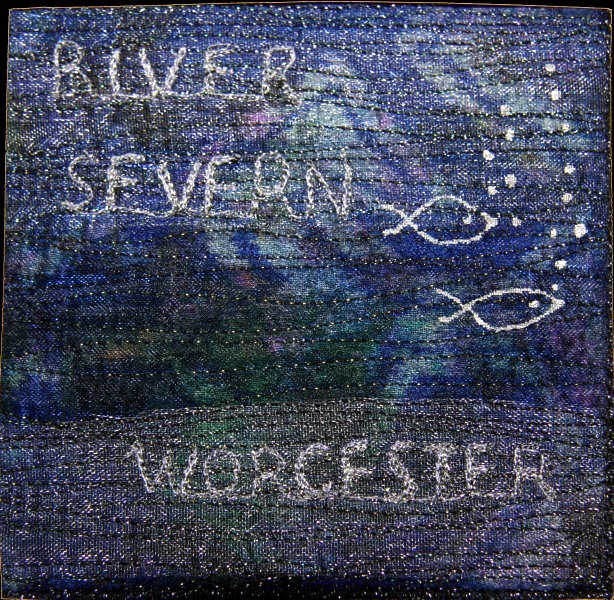 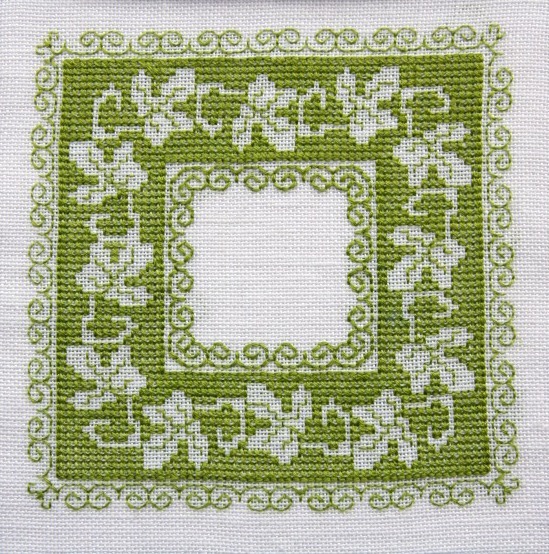 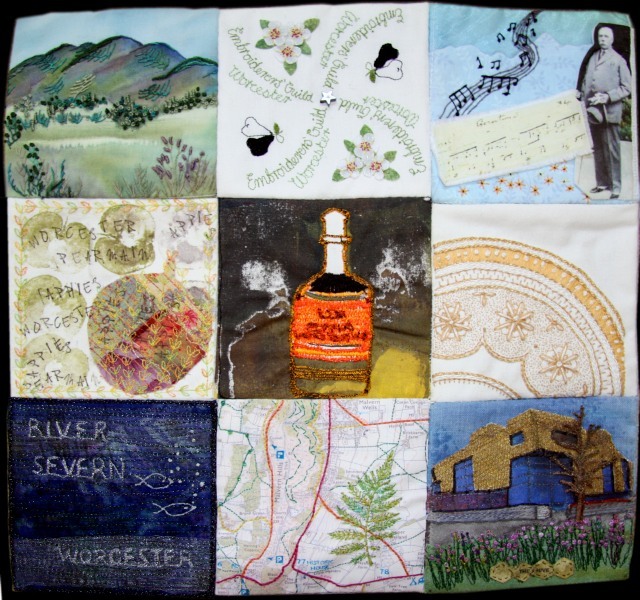 Nine members created small, square embroideries each of which feature an aspect of Worcestershire. 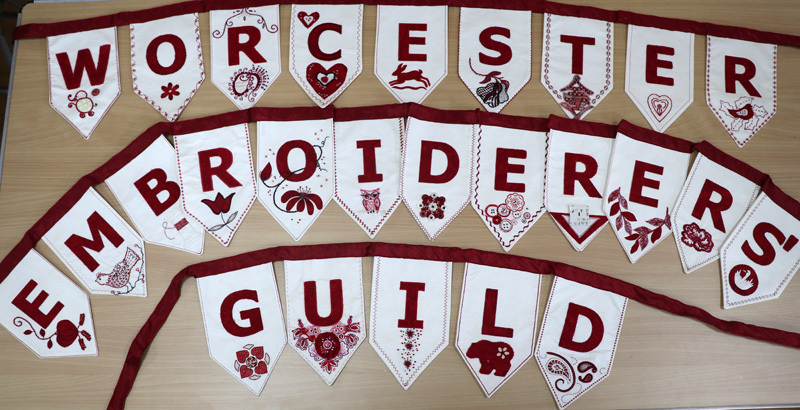 These were stitched together to make a very special hanging for the 2016 West Midlands’ Regional Day. 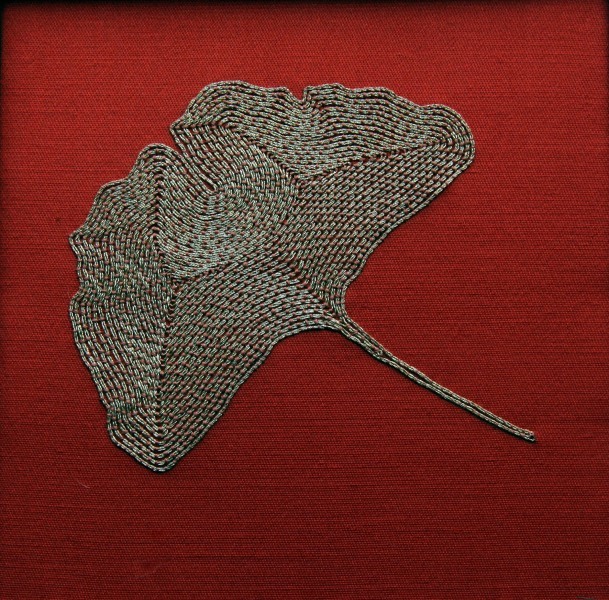 The theme of leaves was taken for a group project. 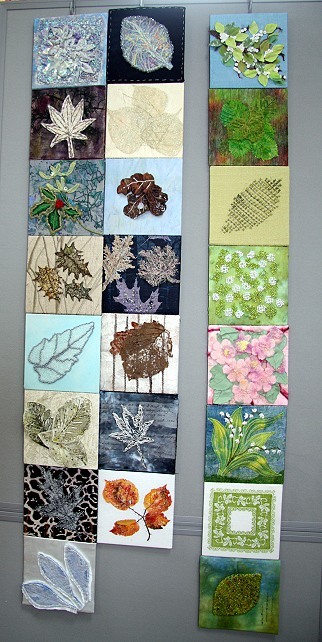 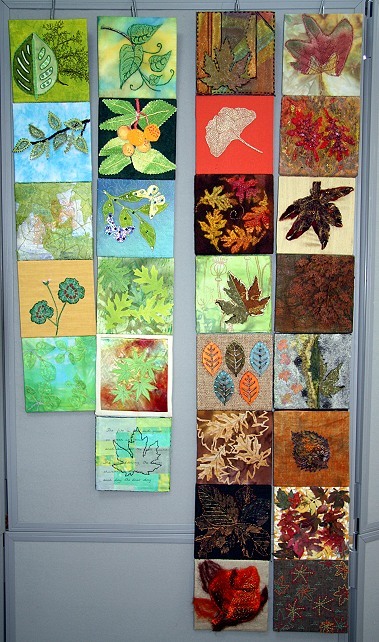 Members chose a season and interpreted it in their own, individual way, as can be seen from the photographs! 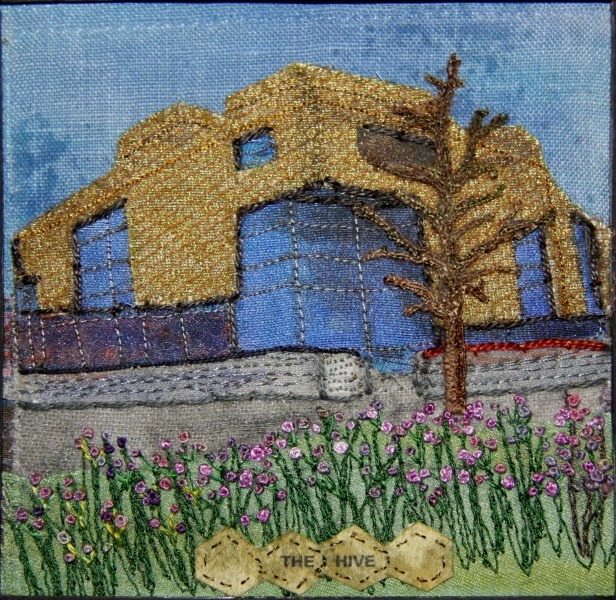 Stitched together, they are used for display purposes at a variety of exhibitions. 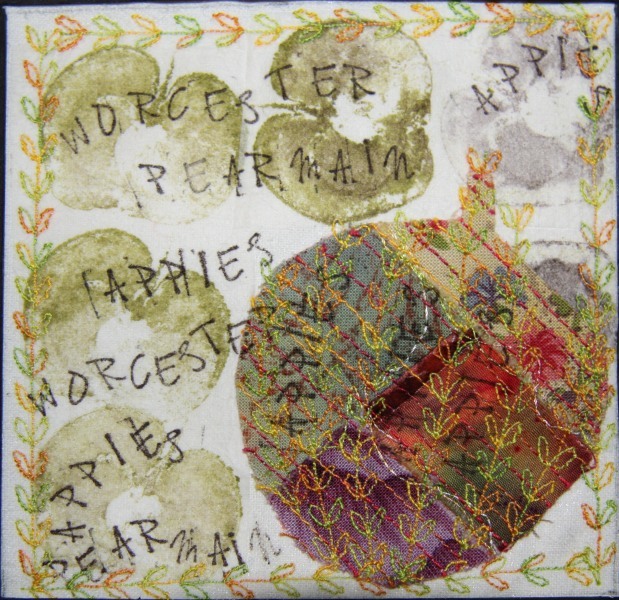 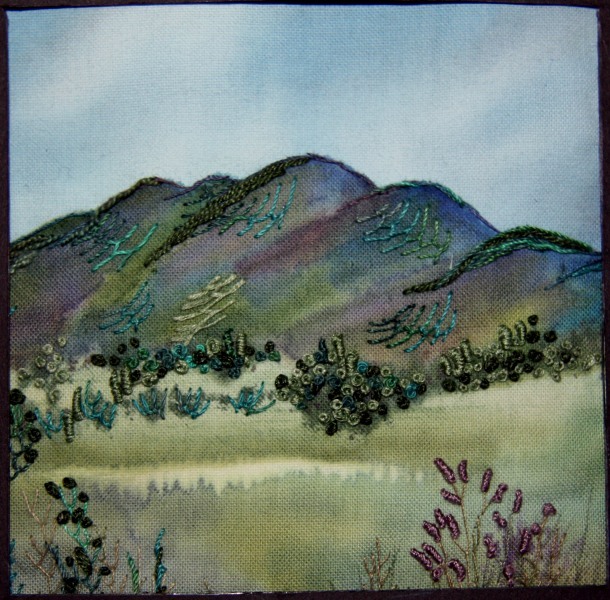 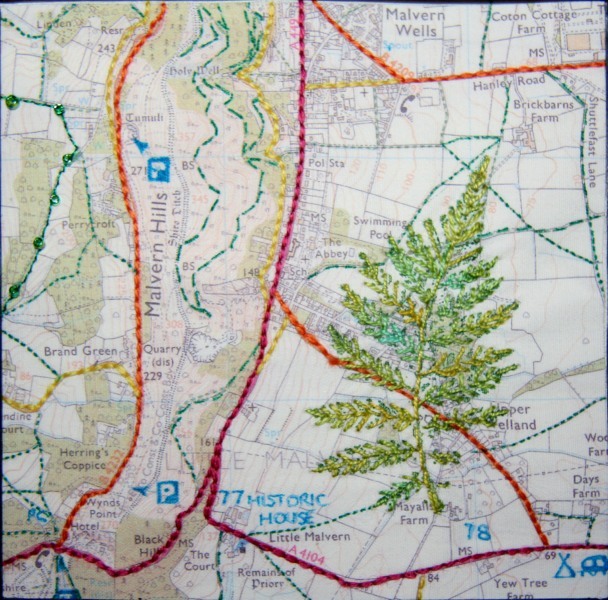 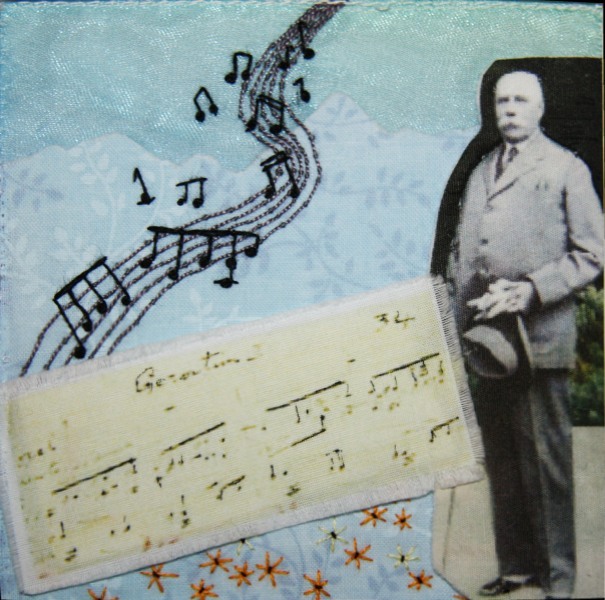 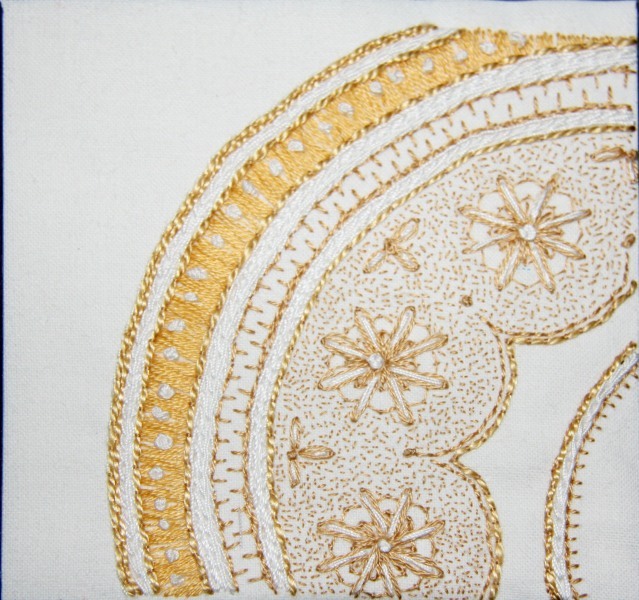 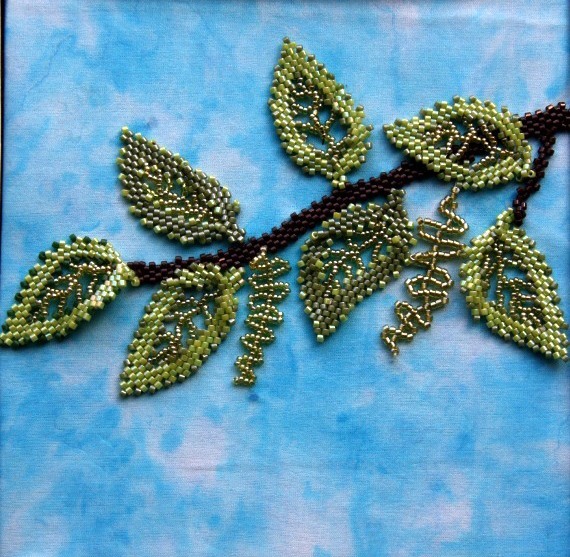 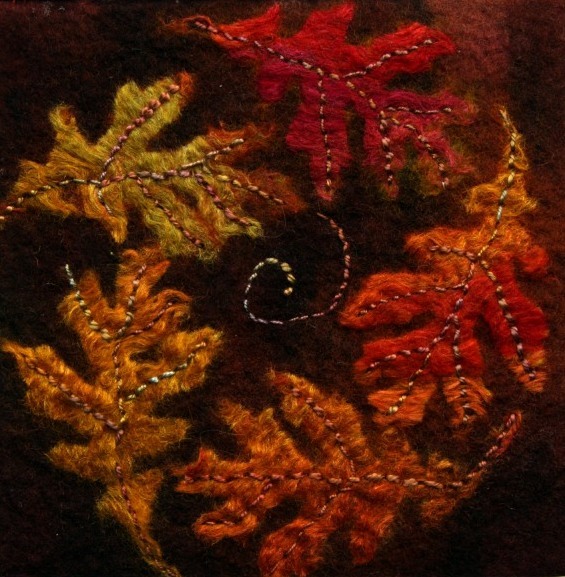 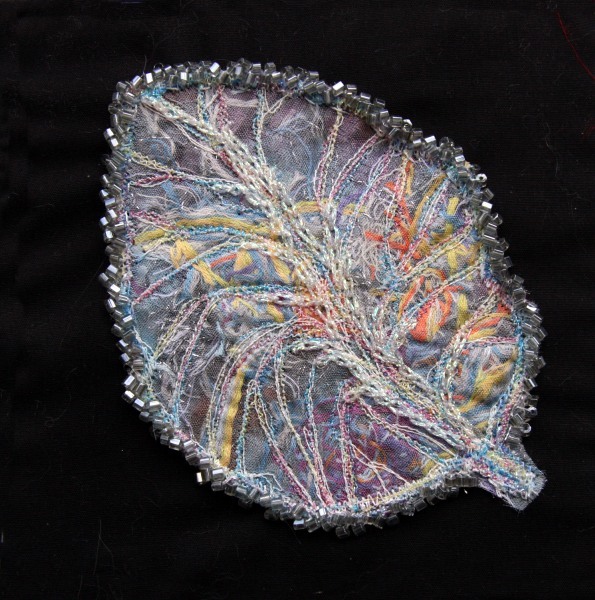 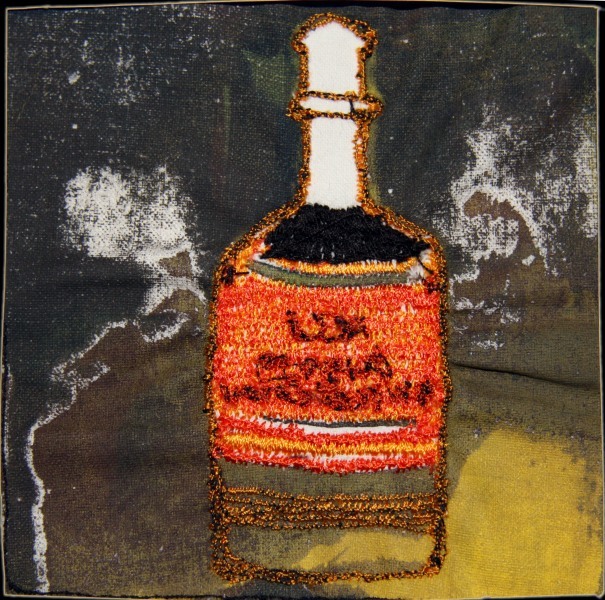 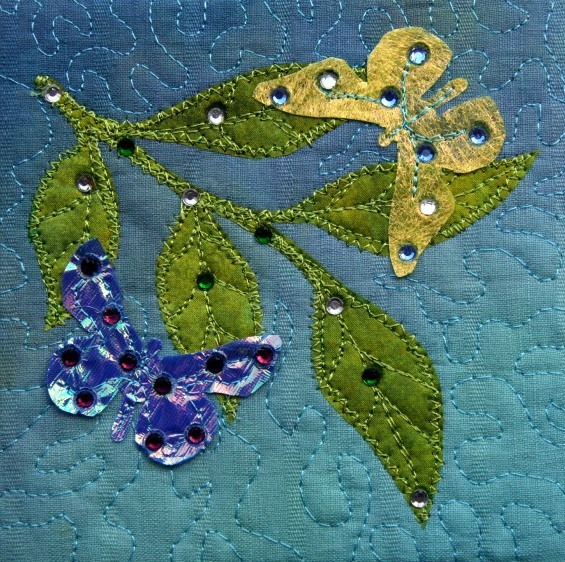 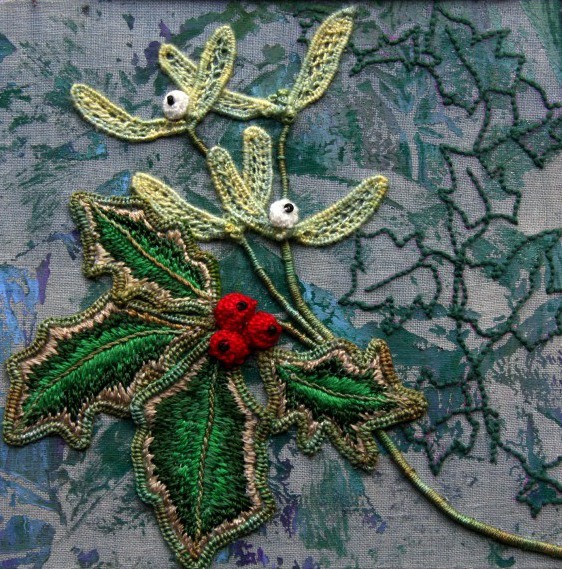 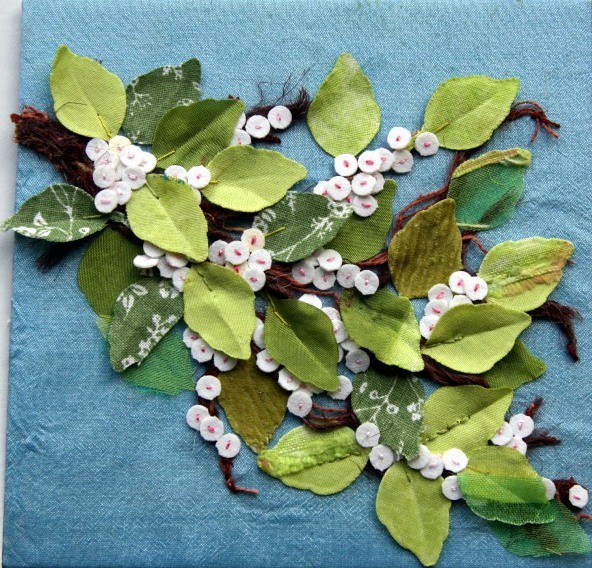 As part of their branch activities, members of the Worcester Embroiderers’ Guild have exhibitions of work and participate in various other events in the local area. 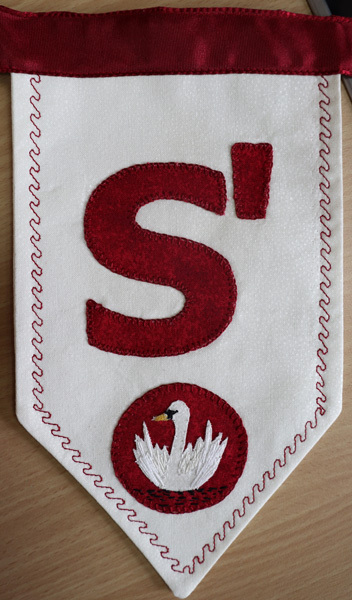 The committee felt that a banner indicating who we are would be appropriate to both promote the guild and also provide a good opportunity to involve many of the members in a joint activity. 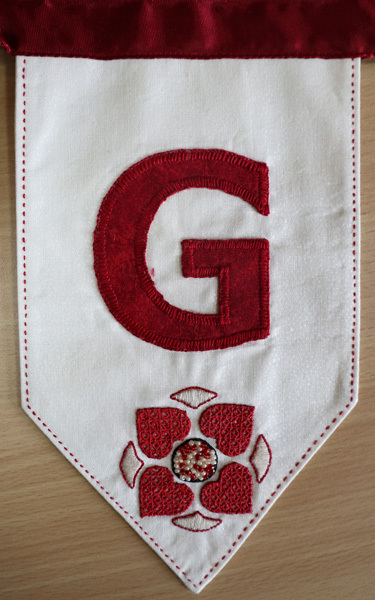 It was decided the banner would take the form of a string of bunting based on the red and white colours of the guild. 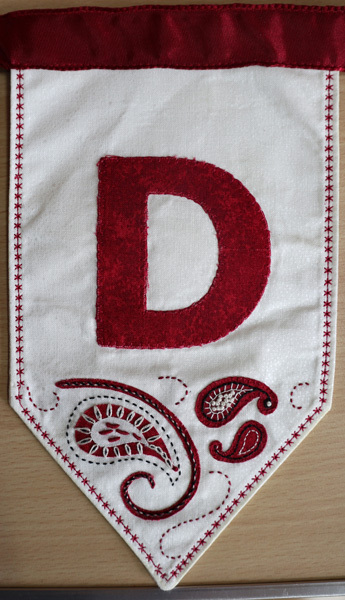 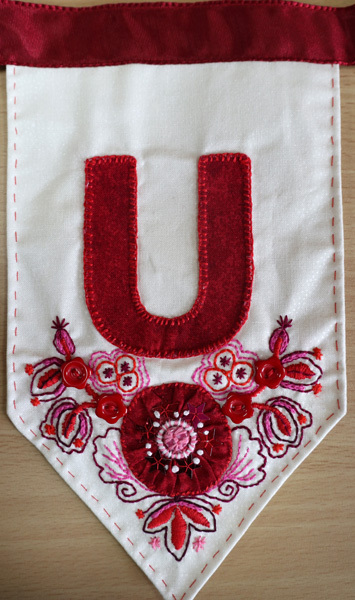 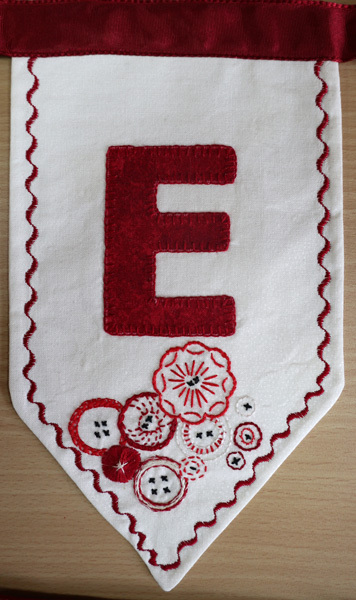 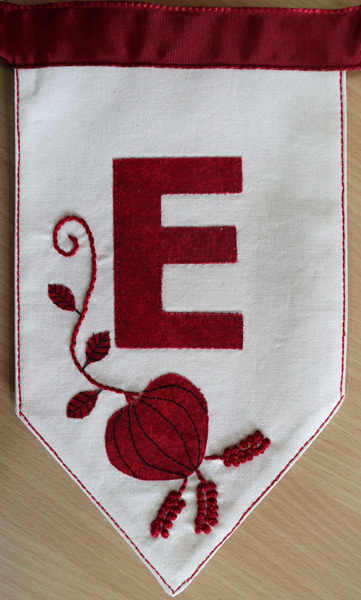 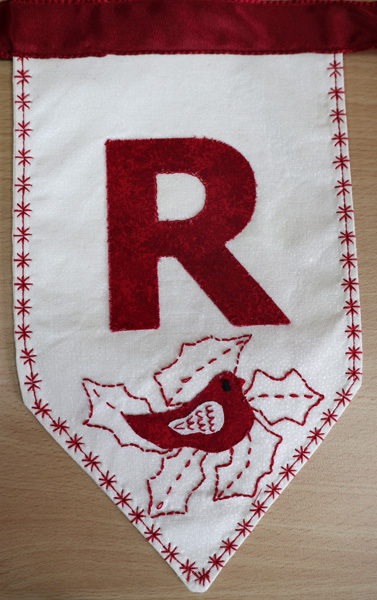 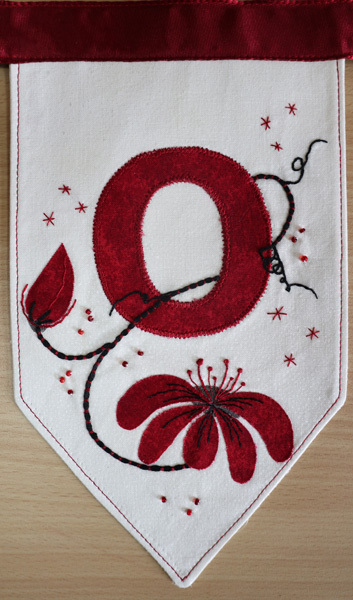 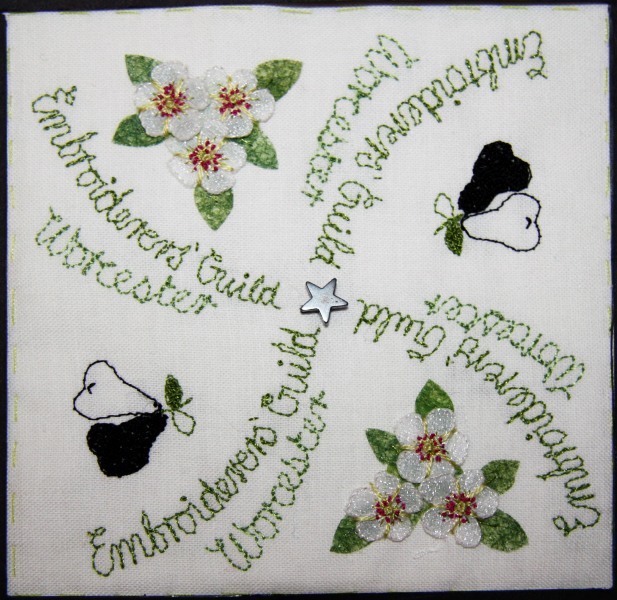 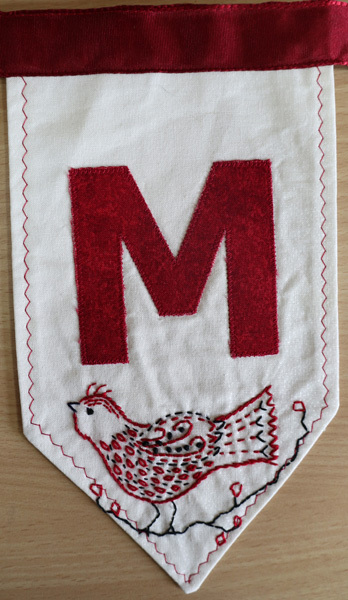 Initially, two members decided on the basic design and prepared a set of materials’ packs, each containing a bunting “flag” with one of the letters from “Worcester Embroiderers’ Guild”. 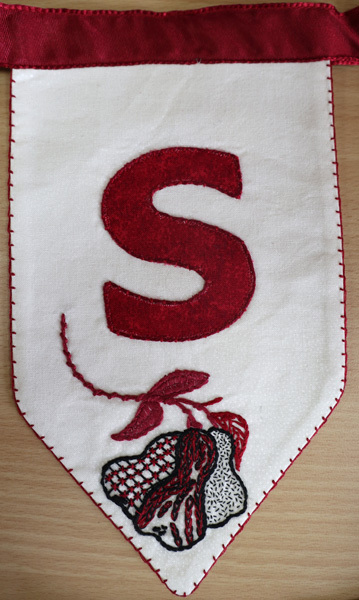 Members then embellished each “flag” with a motif of their choice. 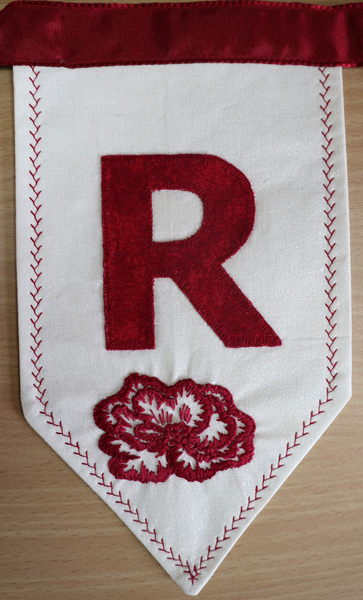 It was a delight to view the variety of ideas, techniques and skills displayed when the “flags” were returned and assembled on the hanging ribbon.